PENNSAUKEN, N.J. (PRWEB) – As the holidays approach, WTSO has created a wine guide that allows their customers to find the ideal flavor for every occasion. The guide, which can be found on the wine store’s blog, discusses bringing bottles to office parties, putting a new twist on holiday brunch, selecting the best wine to complement Thanksgiving dinner, and much more. By reading the tips that WTSO provides, customers can easily decide on what they want and purchase it all without having to leave the comfort of their own home. Since the online wine distributor is known for offering a featured bottle for eight hours or until it is completely sold out, customers can select that bottle or take a look at the countless other selections that the website offers. After making their selection, customers can order online and get the wine delivered right to their door. WTSO delivers to many states throughout the country including New York, New Jersey, Pennsylvania, Texas, California, Illinois, Florida, and Georgia. Wine lovers from across the country trust WTSO for high-quality, affordable, and unique domestic and international varietals. Therefore, their holiday wine guide is of the highest caliber. Not only do WTSO’s tips help customers make selections, but they also help them broaden their knowledge about the world of wine. This holiday season, current customers and newcomers alike are encouraged to not only follow the wine guide to find the perfect fit, but to visit WTSO’s website to find exactly what they’re looking for. 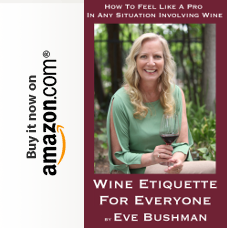 They can also find WTSO and their wine gift recommendations in some of the nation’s leading publications such as New York Magazine, Women’s World, Life & style, and In Touch throughout the season. During the months of November and December, the wine store will be featuring wintry wines that pair exceptionally well with the foods and feelings of the season. To find their new favorite wine for every holiday gathering, interested parties can visit WTSO.com or contact WTSO directly by calling 866-957-2795. WTSO.com is a flash sale wine website that offers high-quality wine one at a time, at the lowest cost—30-70 percent off original retail prices. A family-run business, WTSO is built on more than 30 years of personal relationships with top vineyards from around the world, enabling them to curate the best collection of wine and offer quality wine to consumers at the lowest possible price. 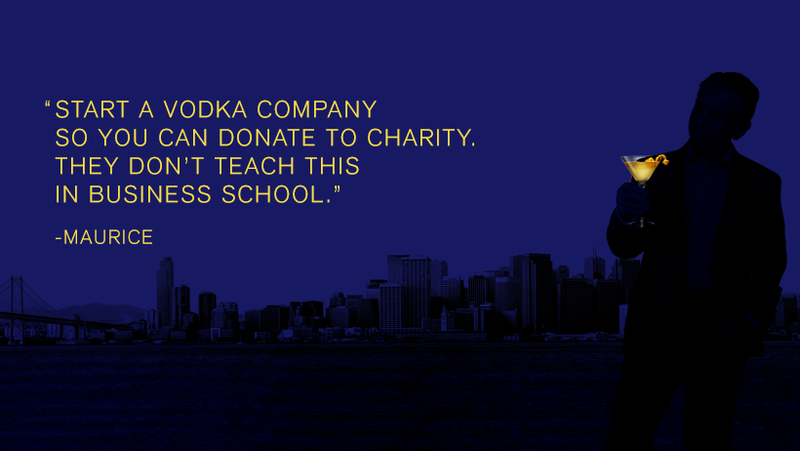 SAN FRANCISCO (PRWEB) – Blue Angel vodka, a new spirits brand, has recently been launched by its founder Maurice Kanbar, who will donate its proceeds to benefit charitable causes. Maurice Kanbar, a spirits-industry legend, created one of world’s best-selling premium vodka brands and sold it in 2002. Since then, he’s given away tens of millions of dollars to charitable causes. Now, at 89 years old, he wants to do it one more time. 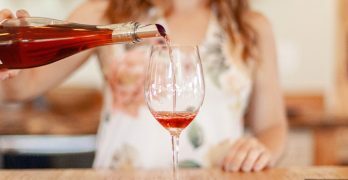 NAPA, Calif. (PRWEB) – Free Flow Wines announced the winners of the 4th annual KEGGY Awards to honor wineries, distributors, equipment providers and restaurant operators for their exceptional and sustainable contributions to the wine on tap category. The award ceremony, intended to be hosted at Luna Vineyards on October 19th, 2017 was cancelled due to the Napa and Sonoma wildfires. In lieu of the celebration, both Free Flow Wines and Luna Vineyards will be collaborating to host a fire relief benefit on Sunday, December 3rd at Luna Vineyards. To date, more than 13.6 million bottles, or approximately 20.3 million pounds of waste, have been diverted from the landfill through the use of Free Flow’s reusable stainless steel kegs. Each Free Flow keg holds the equivalent of 26 bottles of wine and will save 1,560 bottles from the landfill over its lifetime. Free Flow currently has more than 149,000 stainless steel kegs in their fleet. Free Flow Wines created the KEGGY Awards in 2014 to recognize winery partners for their commitment to sustainability by choosing reusable stainless steel kegs – a truly zero-waste package. Since then, the awards have been expanded to include distributors, restaurants and category ambassadors throughout the US who have helped reduce the carbon footprint of the wine industry. Free Flow Wines is the pioneer of premium wine on tap, delivering the world’s leading wine brands to the taps of restaurants and venues nationwide. Free Flow’s keg leasing, filling, logistics and canning services have allowed the wine and hospitality industries to move to a more sustainable way of offering consumers the freshest, best tasting glass of wine. Founded in 2009, Free Flow has more than 250 wine brands in keg, from wineries throughout the U.S., New Zealand, Argentina and Europe. 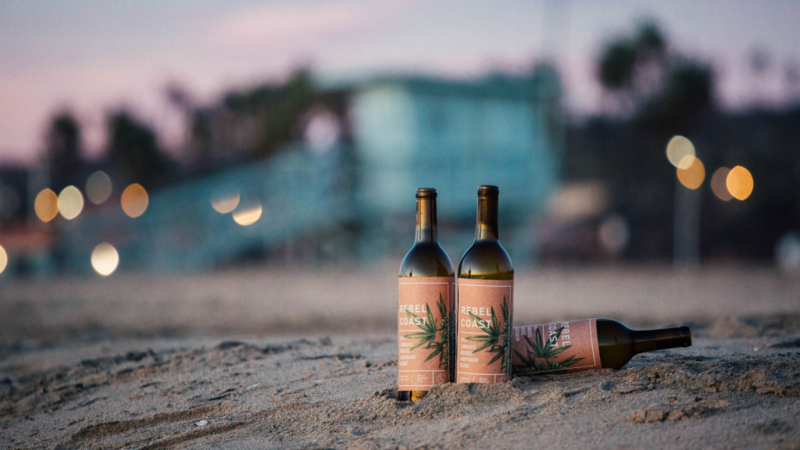 Their customers’ wines are offered in keg and can formats at a variety of restaurants, premium hotels, retail stores, sports and entertainment venues across the U.S. Free Flow Wines has locations in Napa, California, and Bayonne, New Jersey. You can find them online at FreeFlowWines.com, on Twitter, Facebook, Instagram and Flickr @FreeFlowWine. New York, NY (PRWEB) – Les Dauphins, one of the world’s fastest growing Rhône Valley wine brands, is proud to announce a recent run of awards from some of America’s top wine competitions during the first half of 2017. For the third year in a row, Les Dauphins has been named Rhône Winery of the Year, at the 7th Annual New York International Wine Competition. Les Dauphins’ wines were among the 1,300 submitted to the competition from over 23 countries around the world. 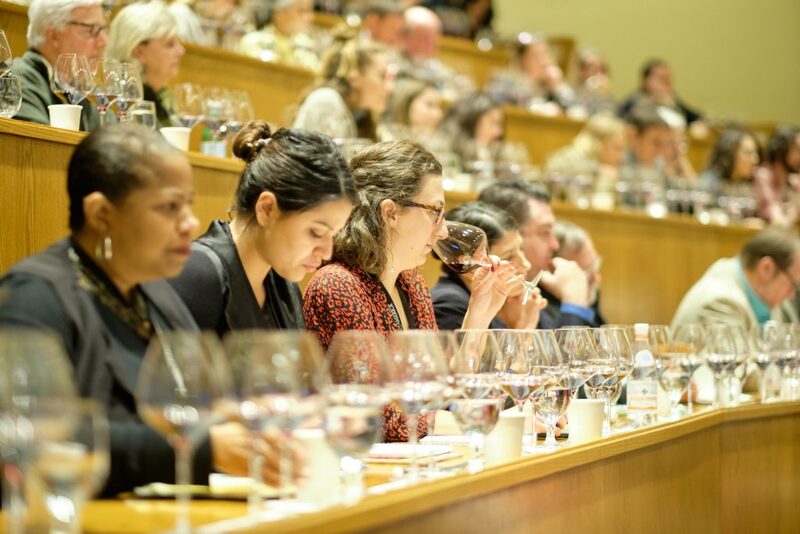 The New York International Wine Competition is the first major international wine competition judged by members of the wine trade and includes buyers from the top retail stores, sommeliers, restaurant owners, hotel beverage directors, distributors, and importers. In addition to winning 2017 Rhône Winery of the Year, the Les Dauphins Côtes du Rhône Reserve Red 2015 was awarded a Gold Medal, with the Les Dauphins Côtes du Rhône Reserve White 2015 and Les Dauphins Côtes du Rhône Reserve Rosé 2015 awarded Silver medals respectively. Les Dauphins has quickly made an impact on the Rhône category in the U.S. since its launch in 2011. Replicating the incredible success of the brand in Europe, the Les Dauphins Côtes du Rhône Reserve, and newly released Côtes du Rhône Villages range of wines have helped with the recognition and quality of Rhône Valley wines in America, with a string of awards and medals elevating the most current releases. The Ultimate Wine Challenge recognized the Les Dauphins Côtes du Rhône Reserve Red 2015 and Les Dauphins Côtes du Rhône Reserve Rosé 2016 with scores of 91 Points (Excellent, Highly Recommended) and Great Value awards. The Les Dauphins Côtes du Rhône Reserve Rosé 2016 scored highly with the judges at the TEXSOM International Wine Awards with a Gold Medal, while the Les Dauphins Côtes du Rhône Reserve Red 2015, Les Dauphins Côtes du Rhône Reserve White 2015 and the Les Dauphins Côtes du Rhône Village Puyméras 2014 were presented with Bronze Medals. The San Francisco International Wine Competition awarded a Gold Medal to the the Les Dauphins Côtes du Rhône Village Puyméras 2014, a Silver Medal to Les Dauphins Côtes du Rhône Reserve Rosé 2016, and Bronze Medals to the Les Dauphins Côtes du Rhône Reserve Red 2015 and Les Dauphins Côtes du Rhône Reserve White 2015. Les Dauphins Côtes du Rhône Reserve Red 2015 received a Gold Medal at Sunset Magazine’s Sunset International Wine Competition and the Les Dauphins Côtes du Rhône Reserve Rosé 2016 was awarded a Silver Medal. Decanter awarded the Les Dauphins Côtes du Rhône Reserve White 2015 with a 91 Point score (Highly Recommended) in the recent July 2017 issue. Les Dauphins wines come from some of the best vineyards throughout the Southern Rhône. Winemaker Guillaume Valli selects the best vineyard lots to blend together into Les Dauphins’ red, white and rosé wines. 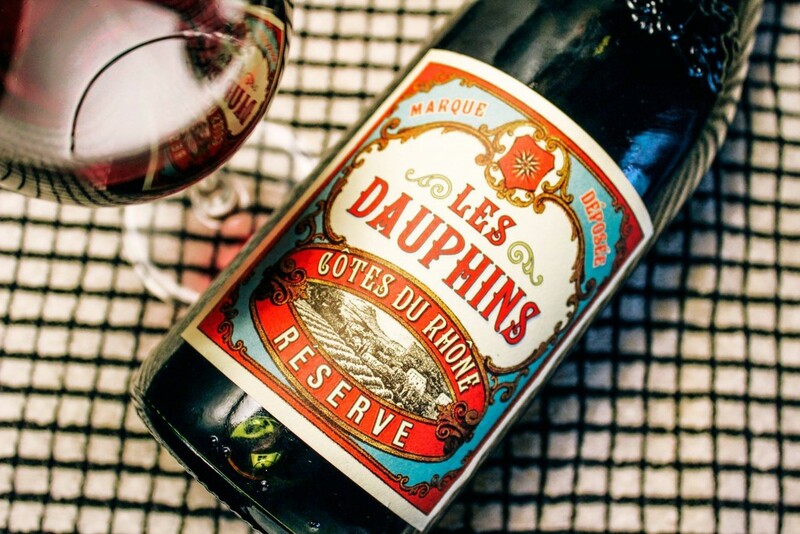 Les Dauphins is a wine made in France’s Rhône Valley that draws its inspiration from the joie de vivre mood of Paris in the roaring 1920s, a time when the wines of the Dauphiné region became popular. Several of the winegrower partnerships that currently make up Les Dauphins Winery were also founded in the 1920s. Today these wines are vibrant and versatile, and are created to once again inspire the joy that made 1920s Paris one of the most exciting and creative periods in history. Winemaker Guillaume Valli’s passion for Rhône varieties guides his winemaking style, where he lets the grapes and the terroir speak for themselves. To learn more, visit http://www.lesdauphins-Rhone.us and follow Les Dauphins on Facebook (Les Dauphins US) and Twitter (@LesDauphins_US). Starting March 2017, Les Marchands resumed their acclaimed educational program with WINE WEDNESDAYS and SOMM TASTINGS, designed and created by new Retail Wine Manager Jeremy Bohrer and General Manager and Advanced Sommelier Emily Johnston, respectively. Weekly, Les Marchands offers WINE WEDNESDAYS, an informal way to taste wines among fellow wine lovers. The early evening wine flight tasting is hosted by Les Marchands Retail Manager Jeremy Bohrer in collaboration with importers and distributors of some of their favorite wines. Each week Les Marchands works with a different distributor or importer in presenting fresh flights of wines. Guests are invited to stop by after work to try something new and have the chance to purchase one of their favorite bottles from the retail store. Bohrer has assembled a starting lineup that includes tastings from Epic Wines with samples from Lebanon, Italy, France and Spain; Vance Erickson Imports specializing in French, Austrian and German wines; The Bradford Wine Group showcasing local Rising Star wines and small artisanal French producers; and WineWise with unique Austrian and German wines. WINE WEDNESDAYS are scheduled from 4:00-6:00 p.m. and open to the public. Pricing is $15 per guest. 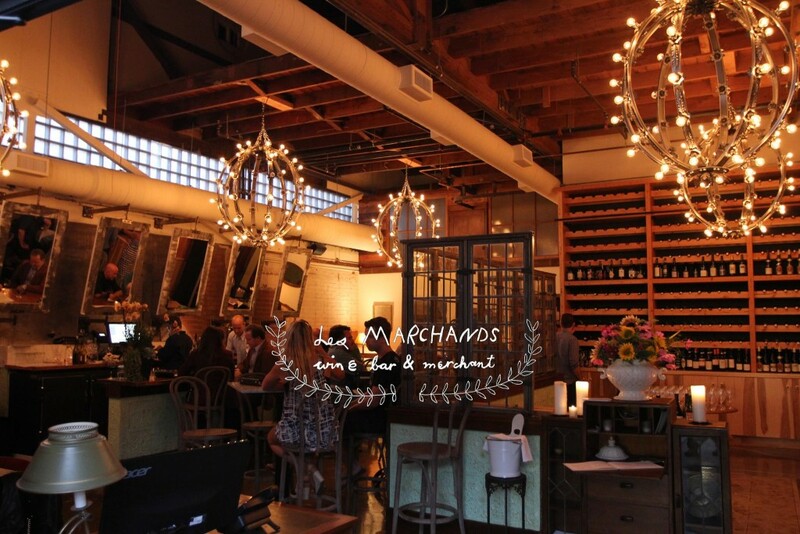 On the third Thursday of each month, Johnston will present SOMM TASTINGS at Les Marchands. The SOMM TASTINGS are guided educational events hosted by Advanced Sommelier Emily Johnston focused on understanding the nuances of a specific wine producing region or a particular grape. The tasting is comprised of flights of three or four wines to highlight classic styles and current trends. This is an opportunity for wine lovers of all experience levels to learn more about wine in the most enjoyable way possible. The first four months of tastings include wines from Austria, the Rhone Valley, a Lesson in Blind Tasting and White Burgundy. Upcoming dates for SOMM TASTINGS are April 20, May 18 and June 15, 2017, from 6:00-7:00 p.m. The Tastings are open to the public and priced at $25 per guest. For further information and to make reservations contact Les Marchands at 805.284.0380 or email inquiries@lesmarchandswine.com. Space is limited. a wine from just a glance and a taste? Awarded the “Wine Bar of the Year” by Imbibe, and one of the 21 Best Wine Bars in the country by Thrillist, Les Marchands Wine Bar & Merchant is led by a world-class team of certified sommeliers and wine professionals with more than 100 combined years of experience in the wine and hospitality industries. Hailing from some of the most prestigious restaurants and wine retailers from around the country, the Les Marchands team enthusiastically brings their love for and deep knowledge of wine to confidently guide each guest through an outstanding wine experience matching every palate and budget with wines to enjoy in the wine bar or to take home. Product knowledge and personalized service is lived out daily at Les Marchands and is incorporated into every phase of the business from private cellar consultation to custom tasting events to the wildly popular Les Marchands Wine Club. The wines curated by the sommeliers represent quality-conscious producers – imports are Eurocentric, from the most relevant producers in France, Italy, Austria, Germany, and beyond. On the domestic side, the focus relies heavily on local Santa Barbara County producers who are shaping and redefining the region. A full bar of handcrafted artisan spirits complements Les Marchands’ extensive wine program with classic stirred cocktails made in the old-school traditional way. These include such favorites as The Vesper, Hanky Panky or the Bijou just to name a few. Chef Weston’s bistro menu showcases seasonally inspired food for supper nightly from 5 pm, weekend brunch from 10am-2 pm and an extensive selection of cheese and charcuterie every afternoon from 2 pm-5 pm. Emily Johnston’s early training includes interning at Brander Vineyard in the Santa Ynez Valley followed by wine sales for a small Italian wine import company in Santa Barbara. 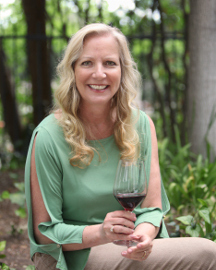 Thoroughly inspired, Johnston left for Italy to study as a sommelier at ALMA Scuola Internazionale di Cucina’s Wine Academy where she received the highest academic honors in her class and achievement in Italian fluency. She became a Certified Sommelier with the Associazione Italiana Sommeliers (AIS) in 2011 while working alongside AIS Master Sommelier, Roberto Jacquemod Pane. 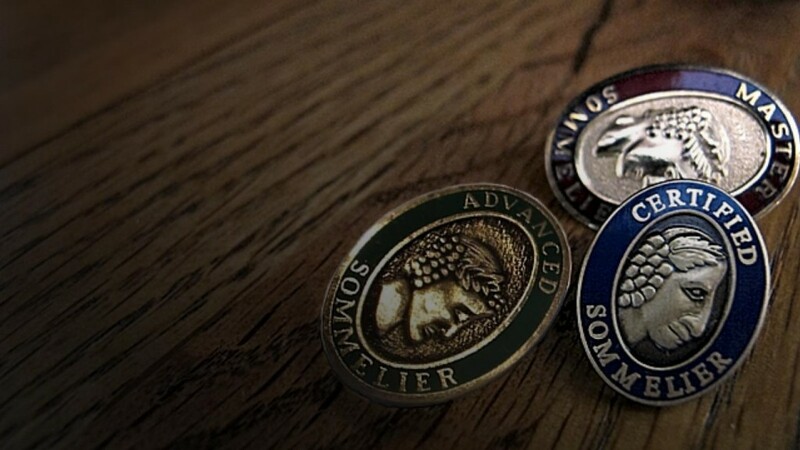 Johnston became a Certified Advanced Level Sommelier with the Court of Master Sommeliers in 2016. Before arriving at Les Marchands as General Manager in 2017, Johnston served as Wine Director/Sommelier for the Toscana Restaurant Group overseeing the wine programs at four operations – Toscana, Bar Toscana, S.Y. Kitchen and Nerano for four years. At Les Marchands, she oversees the wine bar’s ever-changing menu of selections, educational programs and retail offerings. In 2015, she was awarded Zagat’s “30 Under 30” award for young talent to be watched in the hospitality industry. Jeremy Bohrer is a veteran wine and spirits professional with over seventeen years working the vast wine world, including wholesale, retail, restaurant and production endeavors. His early experience as a wine rep for Constantine Wines, led him to California in 2000. He worked as a manager at Bacchus, a small family owned wine shop in Manhattan Beach and was a manager at Trader Joe’s where Bohrer was in charge of overseeing the wine sections of multiple locations and developed “Wine 101,” a course that was used to train company employees throughout California. His other roles include eight years with K&L Wine Merchants as the Burgundy Department liaison. In 2014, Bohrer opened his own small business, Still, a retail space devoted to the art of cocktail craftsmanship. Still sold all things cocktail related, from mixers and bitters, to shakers and vintage barware. The following year Bohrer also opened his own wine bar, Five & ¼, which focused solely on Old World wines France, Spain, Italy, and more unfamiliar regions like Croatia, Slovenia, Georgia and Hungary. As Retail Wine Manager for Les Marchands, Jeremy Bohrer brings his wealth of knowledge and passion for all things wine to the operation.